International travel is always more expensive than you think it'll be. But generally unexpected and unwelcome costs crop up in the actual country you're visiting, not in the last few minutes of your trip. That wasn't so for a Colorado woman who was recently fined $500 by U.S. Customs and Border Patrol for keeping a complimentary apple she'd received from Delta airlines on her flight home from Paris. Apples were passed out in plastic bags near the end of the flight, but Crystal Tadlock wasn't hungry at the time, so she wrapped the apple back up in the bag and saved it for the next leg of her journey back to Denver. As she was going through Customs, Tadlock was selected to have her bag randomly searched. The Customs agent found the apple, which was still in the bag with Delta's logo, and Tadlock asked if she could throw it out or eat it. "He had asked me if my trip to France was expensive and I said, 'yeah.'" Tadlock told KDVR. "I didn’t really get why he was asking that question, and then he said 'It’s about to get a lot more expensive after I charge you $500.'" The mistake cost her both the fine and her Global Entry Status, though the snack was clearly given to her by the airline. "It’s really unfortunate someone has to go through that and be treated like a criminal over a piece of fruit," she added. 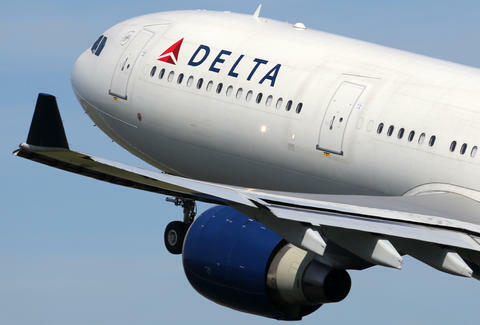 A Delta spokesperson said in a statement that "we encourage our customers to follow U.S. Customs and Border Protection protocols." A spokesperson from U.S. Customs and Border Patrol explained that "all agriculture items must be declared." Tadlock intends to fight the ticket in court. However that works out for her, think of it as a reminder to be really careful about you bring through customs. Travel is expensive enough already.